A shark head is the upper jaw of the animal, cut just before the eyes. 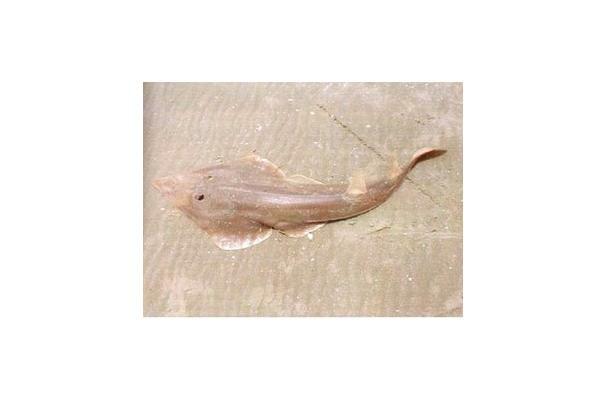 The animals from which they are taken are usually not really sharks, but a “guitarfish”, a member of the Rajiformes, a fish order formed by rays and skates, and thus very closely related to sharks. I've never seen or heard anything about this- way cool! Glad you liked it Melissa. Just hope you have the chance to try it. Its really unique.